I Got a Message that Says "This FixMeStick is Not Authorized to Run on this Computer"
I Got a Message that Says "Windows Did Not Fully Shut Down"
In this article, we explain the steps you need to take when your FixMeStick cannot establish an internet connection in scan. The FixMeStick scan has started on your computer, but it will not finish successfully until an internet connection is established. By following this process, you will have the option to troubleshoot the problem or run the scan without an internet connection (see skip connection). An Internet connection is NOT necessary for a FixMeStick to scan but we do recommend it if possible - FixMeStick won’t update without it. The first step in the scanning process is Checking Internet Connection and sometimes the FixMeStick is unable to establish a connection. When this happens, the scanning process freezes or just keeps spinning on Step 1. You may also see a message on your screen informing you to connect to your network, but when you try to connect, the message does not go away. This issue may be the result of various factors. In this case, there are a couple of things you can try in order to launch the scan. Note: the FixMeStick will not connect to the internet using wireless USB internet sticks or Dial-Up Connections. 1. In the top right corner of your screen you will see a computer icon. Click on that icon to view available wireless networks. 2. Click on the network to which you would like to connect. 3. 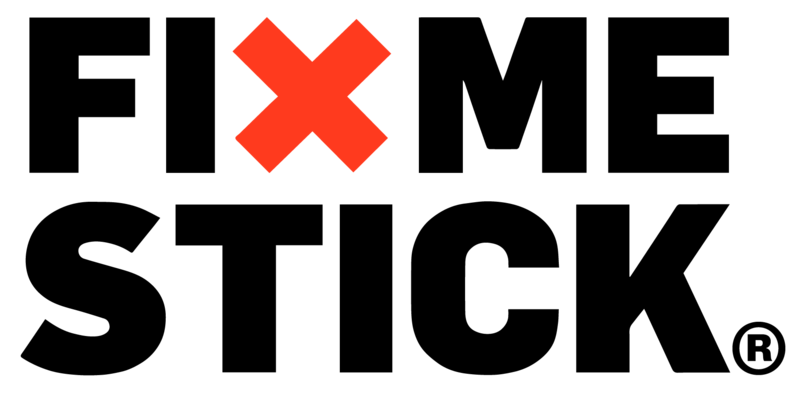 You are connected if the message leaves the screen, or if you see FixMeStick automatically detecting the network and resuming to clean your computer. If clicking the computer icon does not let you identify your wifi network, you will have to move on to our other solutions. The use of an ethernet cable will provide a wired connection to your internet. You will only have to use this cord for the duration of your scan, and your wireless connection will work just fine when you get back into Windows. A lot of ethernet cables come with modems/routers. If you do have one, you can try plugging the cable. If you don’t have an ethernet cable, you can skip this part. 1. Plug the cable into your modem and into your computer. This will directly connect your PC to the internet and your scan will be starting in no time. If it fails to connect to the network, you will have to follow the next troubleshooting step. In certain cases, if the FixMeStick program is not up-to-date, the FixMeStick will not pick up the internet connection. For this reason, if the solutions above fail, updating the FixMeStick can solve the issue. 1. You can power your PC back on to return to Windows. Plug your FixMeStick back in. If you get a message to format your FixMeStick, please click here. 2. Run the FixMeStick application (Left click on FixMeStick USB, and then Double left click on FixMeStick). If you can't find the FixMeStick application, click here. 3. Click on the Settings link at the top right hand corner of the window. 4. Click on the Factory Upgrade button. Once you click on the Factory Upgrade button your FixMeStick will proceed to download the latest version and then begin to re-image your FixMeStick. If the update page disappears immediately, it likely did not go through. In that case, click here. 5. Once the re-imaging stage is complete, your FixMeStick is now ready to use. You can click on Reboot and Start FixMeStick again to get the scan started. If for some reason you cannot run the Factory Upgrade on this PC or if the computer still freezes in scan, you can follow the next troubleshooting step. Not all computers have this in-scan issue. If the FixMeStick connects to the network on at least one computer, it will receive the updates and we can safely skip internet when we run the scan on a computer that does not connect to the internet. The FixMeStick can scan the unconnected computer last, and will be updated. 1. Run the FixMeStick scan on another computer that does have an internet connection. 2. Let it get past Step 4 (Initializing Malware Scanners) to ensure it is up to date when you plug it back into the PC you are trying to scan. 3. Once the scan has gone past Step 4, the new virus definitions will be applied to your FixMeStick, you can click on Exit FixMeStick at the top right corner of your screen. 4. When the PC is off and the screen is black. You can unplug the FixMeStick and try to run it on the computer that does not have an internet connection. If you do not have another computer and all of the solutions above fail, you can follow the troubleshooting steps below. If you start your FixMeStick scan from the Windows start menu on a PC that has an internet connection, the stick will be updated from the automatic updates, and therefore will run successfully on this computer or even on a different computer. 1. On Step 1 of the scanning process: Checking Internet Connection, you will see an option that says Skip Internet Connection at the bottom right of the Connect to your network window. Click on Skip Internet Connection. Running the scan without internet is totally safe, and will still complete a full scan. It just means that the malware definitions may not be totally up to date.